Here it is: the official and soon to be ubiquitous flyer. The binding on the top left is an award-winning binding by the delightful Lang Ingalls. You may recognize it from two earlier posts on the international competition in Argentina (here and here). I spent quite a bit of time with her last week. It was Bibliography Week in NYC (way more interesting than it sounds) and she was in town for various Grolier Club events and a mini ABAA bookfair. We had a great time browsing at Booklyn, Printed Matter, and 192. The large binding in the middle is by an English binder, Mark Cockram, who I am proud to represent. The book, called Joseph Cornell: Shadowplay, Eterniday, is about the American artist Joseph Cornell. The assemblages for which he is best known have greatly influenced many contemporary book artists. 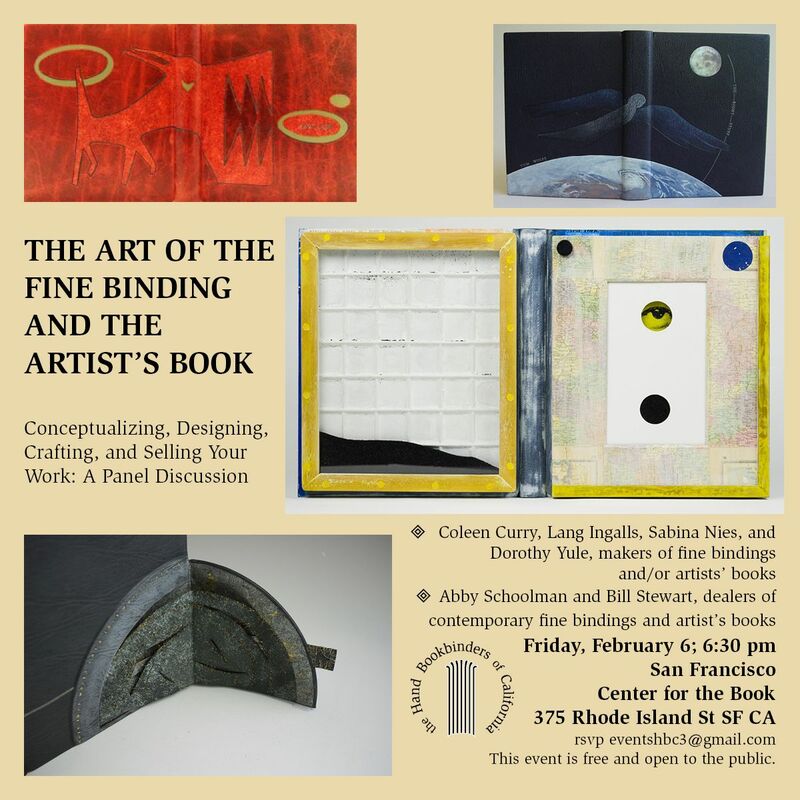 The binding on the lower left is Into this Worldby Natalie Goldberg bound by Coleen Curry. You can see more images on Coleen’s website. The binding on the upper right is Tom Wolfe’s The Right Stuff bound by Sabina Nies. You can see more pictures of that and many other books on her website.